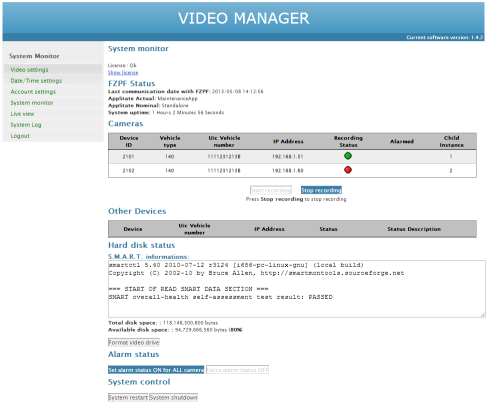 The NVR13 media recorder is a lightweight video/audio recorder platform suitable for applications with low footprint in terms of size, computation, power, and cost. Examples of such applications includes on-board recorders for the automotive industry (e.g. railways, light trains, metro, buses). The product is based on a standard Debian Linux OS, customized to the installation on solid state media such as SD/CF cards, or SSD drives. It has been succesfully ported to a variety of devices, such as Intel Atom, Celeron, Pentium M and similar families of x86-based devices. On a reference platform based on a low-end Intel Atom 600Mhz Cpu, the system easily captures 12 H264 video streams at 6fps each. 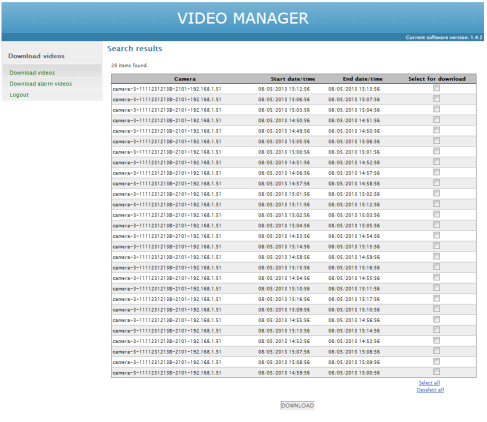 The video recording software is able to acquire and store video coming from a variety of sources, such as network cameras and video servers provided by all major vendors, video capture and compression boards. Flexible licensing scheme (e.g., per-node or per-application schemes possible) with attractive prices – send us an email and check for yourself!